"This is an easy and wonderful recipe for a slow cooker. I guarantee this will rival your favorite pulled pork. Give it a try and you won't be disappointed. Serve with rolls and your choice of vegetable. 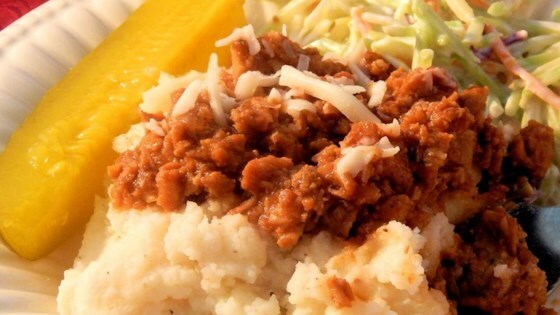 I really enjoy this dish with some freshly made mashed potatoes." Place onion, olive oil, and garlic in a slow cooker. Arrange pork over onion mixture and add ale. Season with black pepper. Cook on Low for 6 to 8 hours. Drain and discard liquid from slow cooker. Shred pork with 2 forks and add barbeque sauce and liquid smoke. Continue to cook on Low for 2 more hours. I made this and the pork was so flavorful and delicious. I also like that it wasn't too complicated and used ingredients that I typically have in my kitchen. Mmmm Mmmm.